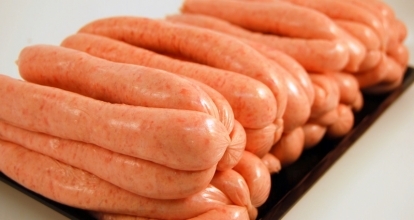 Our Range of Multi-Award Winning Sausages are made using only the best cuts of pork taken from our Free Range Pigs. 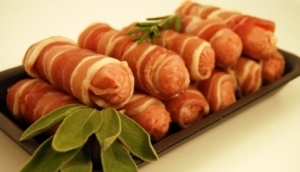 Cuts from the Shoulder and Belly Pork ensure our sausages are not just succulent but full of flavour too. 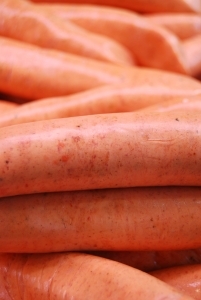 We have over 25 different Recipes of Sausage. From our famous age old PateleyBridge Sausage Recipe handed down through generations, to our more modern interpretations devoloped by our expert in-house chef. You will find a sausage for any occasion! To offer you a diversity of flavours we will offer you two different 'Speciality Sausage of the Week' recipes every week. These recipes will rotate weekly, so remember to keep your eyes open for your favourite flavours! !